Syria, Idlib: Chemical Weapons Used by Foreign-backed Terrorists Massacred 30 Civilians. Foreign-backed jihadist mercenaries in Syria have reportedly massacred at least 30 civilians in Idlib province. The killings took place as members of an al-Qaeda-linked group– known as the “Islamic State of Iraq and the Levant” (ISIL), fired a series of mortar shells on Kafteen village. 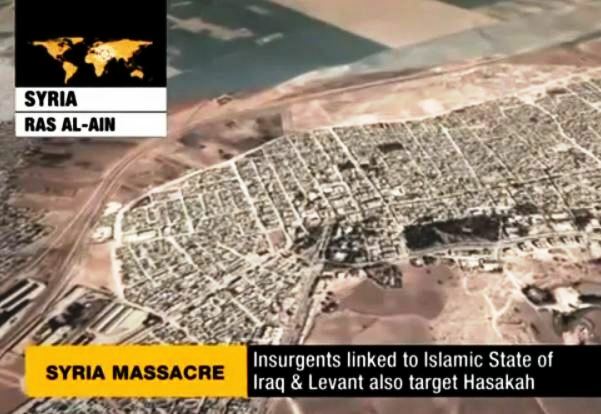 The terrorists in a separate incident also fired mortar shells on a town in Hasakah province. The attack primarily targeted a police station and led to the injury of a number of civilians. Locals say they’ve seen some people vomiting after the shelling, in what could be a sign of a chemical attack. This entry was posted in +AAArchive, chemical weapons, Chemical weapons conspiracy, Crimes against humanity, Idlib, terrorism, Terrorist attack, Video, War Criminals and tagged chemical weapons, Crimes Against Humanity, Idleb, Terrorist attack, Video, War Criminals by syrianetwork. Bookmark the permalink.